We’re living in a day when the modern church is deviating away from traditional teaching, methods, and recruiting more people into the congregation seems to be the drive and measurement of a church’s “success.” Pastor, teacher and author David Washington of Berean Home Fellowship in Toledo, Ohio, is trumpeting a message that runs counter to that mode of thinking. Reveals the identity of the biblical church. Presents what the three-fold purpose of the church is. Lays out why the church gathers. Explains why unbelievers/non-Christians have no business in the church. Argues that inviting unbelievers/non-Christians to church is disobedient to God, unloving, and unbiblical. 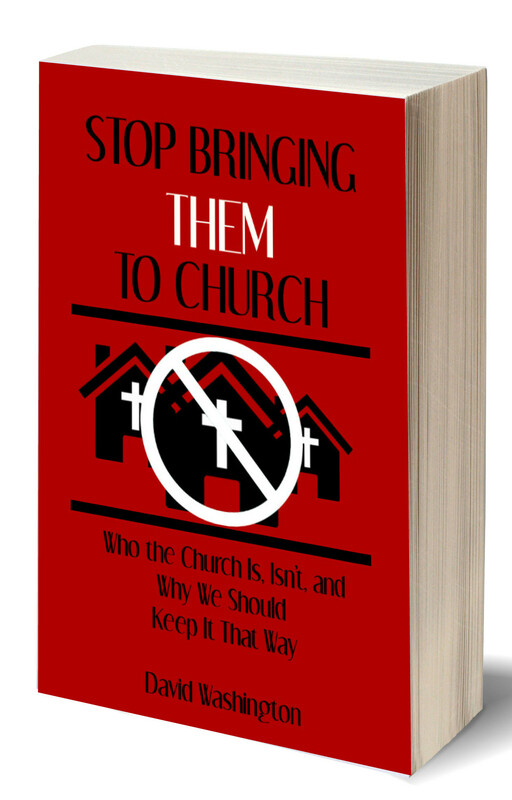 The 159 page Stop Bringing Them to Church (pre-release November 15th, 2013. Official release November 29th, 2013) is the first in his Christian series, Stop the Madness. Titles for other books in the series include, Stop Calling Them Christians, to be released in 2014, and Stop Calling It the Gospel. For advance book review copies and interview requests, please contact pastor David Washington at davidwashington@bereanhomechurch.org.